There are no comments for Two Buildings... Click here to post the first comment. 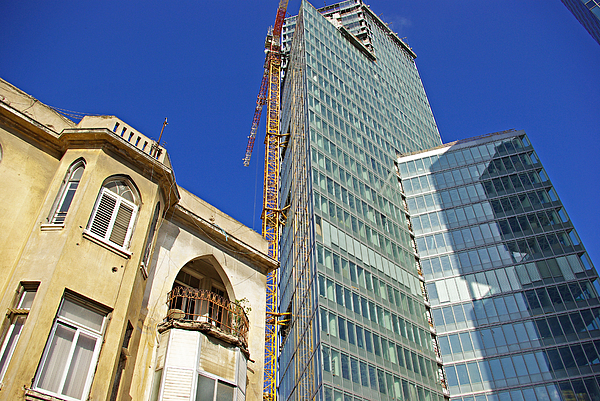 What a contrast between these two very different buildings in Tel Aviv, Israel..!!! Tel Aviv like many other cities in the world are doing everything today to protect their old heritage, the beautiful old buildings which were designed not by greedy real estate developers, but by Architects with only two purposes, either for office or living. 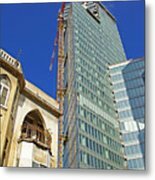 This old building is like a monument to the beautiful and unique architecture of Tel Aviv in 20s-30s. 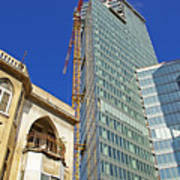 Tel Aviv is one of UNESCO Heritage cities, known as the "White City". 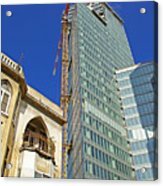 Many buildings in Tel Aviv are in white, for one simple reason - white doesn't absorb as much heat during hot summer months as other colors. Even today many new buildings are in white. 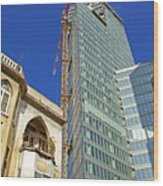 Tel Aviv is also known as the capital of Bauhaus architecture. These Bauhaus style buildings were designed in the 40s-50s by Jewish architects who escaped the rising nazism in Germany in the mid-40s for Palestine which in 1948 became Independent Israel.